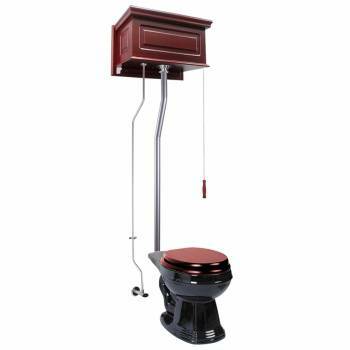 L-pipe High Tank Toilet WATER-SAVING 1.6 gpf Adjustable overall height 70 to 74 inch Grade A Vitreous China toilet bowl round & black Hardwood Tank with Cherry Finish 23 in. 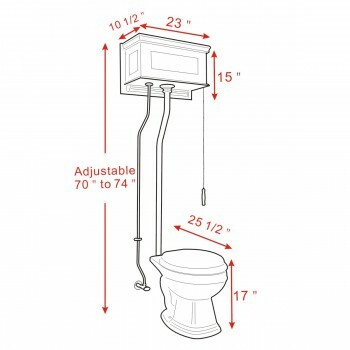 W Stainless Steel tubing with Satin finish Toilet seat sold separately Protective RENO-GLOSS finish resists stains PERFECT-HEIGHT bowl reduces daily body strain Money-Saving & Water-Saving 1.6 gallon flush SAVE up to 25 000 gal. of WATER a yr. - EPA.gov Clean & Quiet gravity-activated SIPHONIC-ACTION Decorative Tank with Raised Panel Details Solid Brass superior quality fittings Satin finish Physical Vapor Deposition Adjustable HEIGHT fits most bathrooms Adjustable ROUGH-IN 12 in. to 15 in. 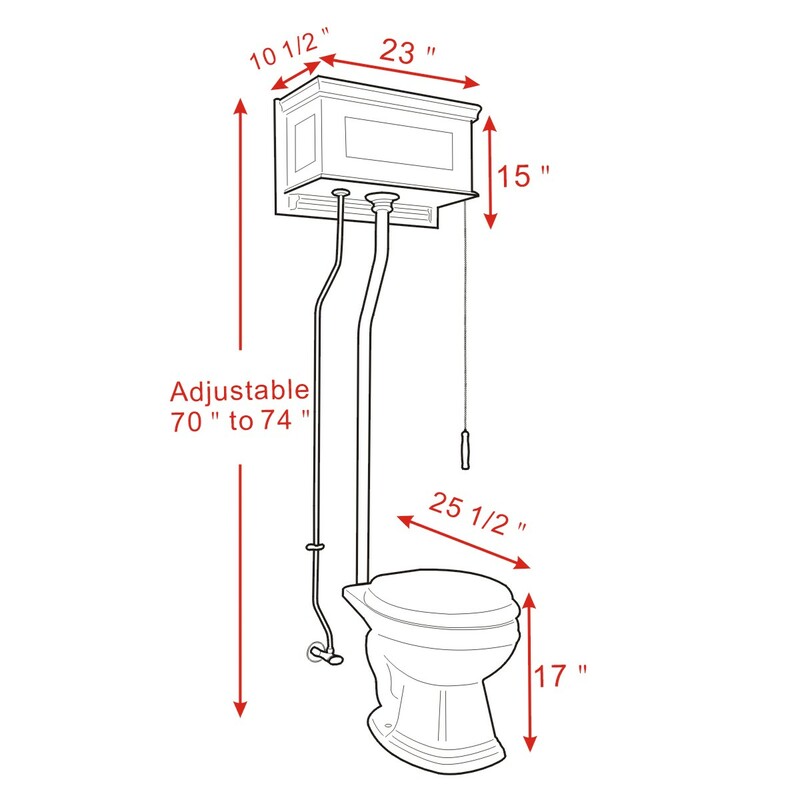 Includes mounting hardware supply line & angle stop Installation instructions included NO SALES TAX outside Massachusetts WORLDWIDE shipping at your convenience CLICK HERE for info on FREE SHIPPING FULL YEAR 100% satisfaction guarantee. Wooden Toilet Seat Not Included, Sold Separately.